Pastor Maldonado, Romain Grosjean and Charles Pic all took turns in the E22 today on the first day of practice for the Italian Grand Prix. Charles took to the Autodromo di Monza for FP1 this morning, while Romain was back on duty for FP2, with the team completing the majority of its Friday evaluation programme across all three drivers. The morning session was predominantly dedicated to aerodynamic assessments with Charles and Pastor. The afternoon session focused on tyre assessments with Romain and Pastor. Pirelli's hard compound (orange) tyre was used in the morning session and the medium (white) and hard compound in the afternoon. Romain Grosjean: "We knew that it would be tough here in Monza and it is. We had some small issues - some little details that we can work on to improve the car and go into the right direction, even if it might not mean that we will be significantly faster. We tried a new front wing today and new small wings on the car and there is more that we will try in FP3 tomorrow. We will work hard to improve the car as usual, to prepare for the qualifying session, and try to achieve the best result possible." 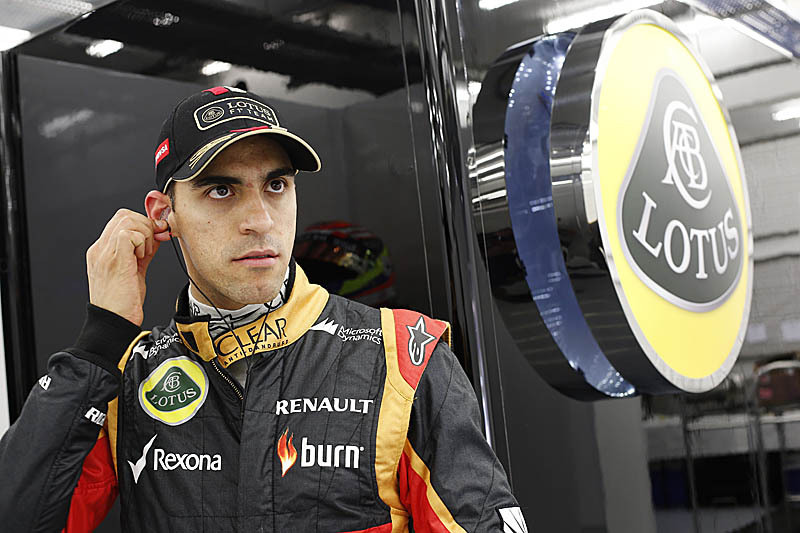 Pastor Maldonado: "The balance of the car felt okay today, however these downforce levels have been very challenging for us. Our pace looked more consistent and competitive on high fuel; hopefully this will allow us to drive a good race. There are opportunities to overtake here in Monza and if you manage your tyres well it is possible to make places. But first we still have a lot of work to do tomorrow morning and then perform the best way possible in qualifying. We're pushing hard to get the best possible result on Sunday." Charles Pic: "It was a very good feeling to be back in the E22 this morning. For the team it will be a challenging weekend here in Monza as the track doesn't seem to suit the cars very well. Our goal this morning was to work towards optimising the car and getting it ready for the weekend. The programme was mainly focused around aerodynamic work and it was valuable - one direction worked out better than the other so we had useful findings on some specific points. We will now continue to work and prepare for Saturday's sessions." Alan Permane, Trackside Operations Director: "Our Friday programme was focused on completing the necessary aerodynamic evaluations that a circuit like Monza requires, as well as giving Charles some valuable track time. This afternoon was spent assessing tyres, with Romain back in the car alongside Pastor. We gathered plenty of data to review ahead of tomorrow's sessions, despite limited time with Romain, and will work to implement the necessary changes." Check out our Practice gallery, here.